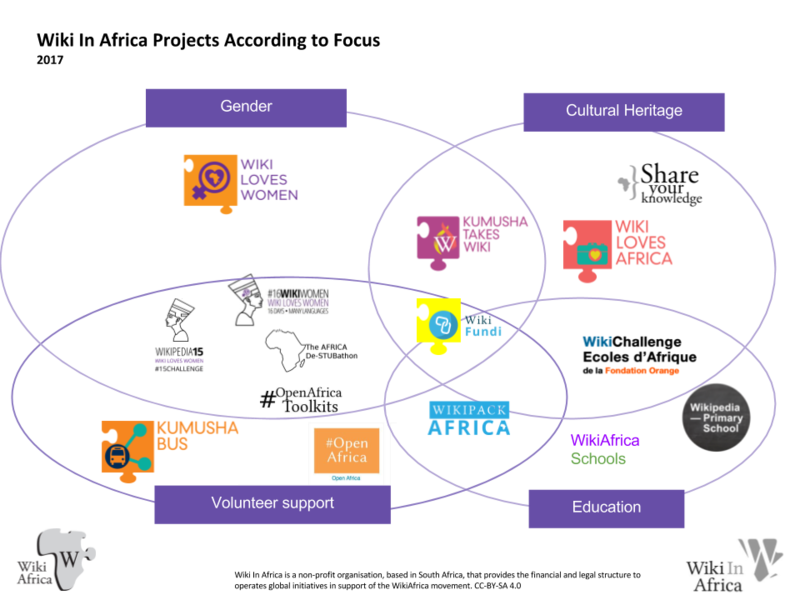 Wiki In Africa’s mission is to rebalance the type and diversity of information and perspectives that are available online about and from Africa, using Wikipedia and the Wikimedia projects as platforms for the dissemination of this information to multiple peoples residing on and off the continent. In short, it’s mission is to help people and organisations create and preserve open knowledge, and to help provide easy access for readers to knowledge and perspectives relating to Africa. Empower and engage citizens of Africa and its diaspora to collect, develop and contribute content and perspectives relating to the theme of Africa under a free license and engage in global knowledge systems by encouraging access to, awareness of, and support for open knowledge, the open movement and the Wikimedia projects, working in collaboration with like-minded organisations. Funding - long-term funding, pilot funding, prizes, etc. Visibility - understanding of Wikipedia, media coverage, etc. Integration of the project within Wikipedia and other Wikimedia projects. 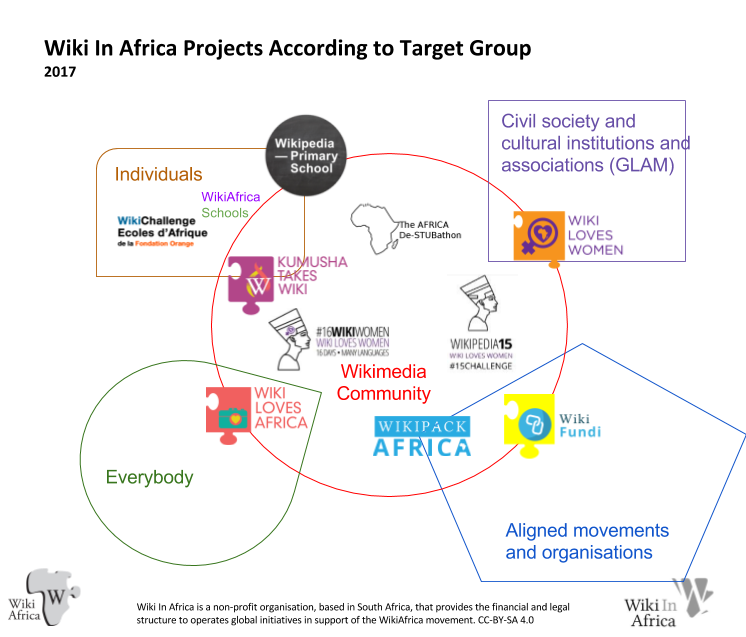 In the diagram “Wiki In Africa Projects according to Focus” you can see how the projects work across some of the focus groups, but also how they specifically target each focus.